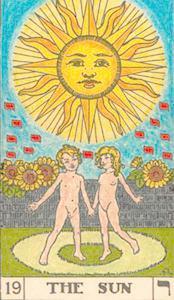 Synopsis: Various anti-kabbalah Tarot influence theories examined. DD&D's Pico della Mirandola myth put to rest. Other theories based on poor scholarship and incomplete knowlege of kabbalah. Ghetto-ization of Jewish influence highlighted. Eliphas Levi partially vindicated. 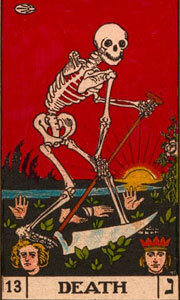 Modern critical thinking and scholarship about the Tarot and its origins are not the strong suits of Tarot literature. Two exceptions are Stuart Kaplan's monumental Encyclopedia of Tarot (1978) and Decker, Depaulis & Dummett, A Wicked Pack of Cards, (1992) a history of occult involvment with the Tarot by (non-occultist) Tarot historians. DD&D's scholarship can be used to illustrate some central issues. 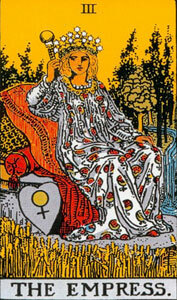 The invention of the Tarot pack thus consisted in the invention of the twenty-two new picture cards -- the Matto or Fool and the sequence of twenty-one trumps -- as additons to the ordinary pack. 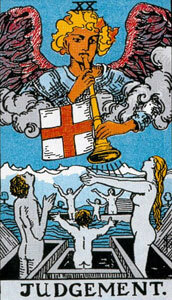 The early Tarot (Visconti-Sforza) was un-numbered and untitled. Then the denial. 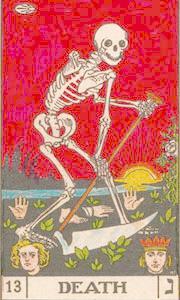 The most serious manifestation of the occultists' ignorance of the actual history of the Tarot was their uncritical acceptance of the order and numbering of the trump cards found in the Tarot de Marseille -- that order and numbering cited above. 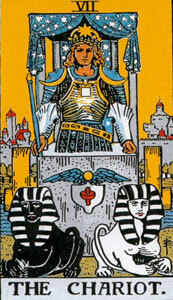 The order of the trumps was of critical importance for the occultists' incorportation of the Tarot into the general scheme of occult theory. The principal means of doing this was to correlate the twenty-two trumps (including the Fool) with the twenty-two letters of the Hebrew alphabet, and so to intertwine them with the mystical letter-symbolism that is a salient feature of the Cabala. The attribution of Hebrew letters to trumps depends, naturally, on the order of the trumps; it is therefore essential to get the order right. 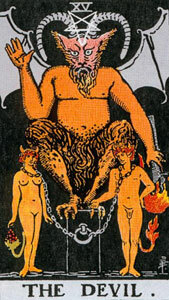 The occultists were quite unaware that there was ever any other traditional order than that found in the Tarot de Marseille. 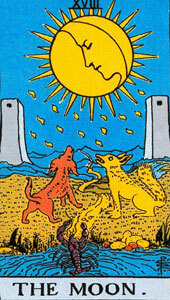 The correlation between trumps and Hebrew letters formed no part of any actual symbolic intent of the inventors of the Tarot pack, because the Cabala was first introduced to the Christian public by Pico della Mirandola more than forty years after Tarot cards had been in existence; but if it had, the correct attribution could be established only by determining the original order of the trumps. The occultists, however, were oblivious to the problem of what that original order was; and hence their speculations concerning the attribution were doubly devoid of foundation. 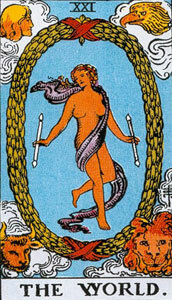 The (non-Jewish) occultists who commented on the Tarot, whose thoughts and justifications form the basis of modern Tarot discourse, were often less-than-first-rate scholars, knew little if any Hebrew, indulged their imaginations to no end and appointed themselves experts in fields outside their depths. 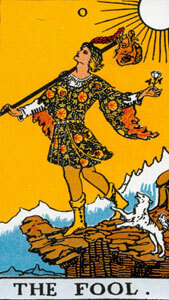 The Tarot and Kabbalah have nothing to do with each other. If DD&D are claiming, as they seem to be, that there can be no Jewish/kabbalistic influence on the Tarot because there wasn't any in Italy before the 15th century, because it hadn't been published in Latin, they are out of their depth and specialty as historians. It seems reasonable, given more modern views on cultural interaction and diffusion, to wonder if the "proof" doesn't really prove the reverse. Among many examples, the noted kabbalist Abraham Abulafia was in Italy more than two centuries earlier (1280), talking to Christians "in a brotherly way" and spreading his alphabetically-oriented kabblah (Moshe Idel, Messianic Mystics, Yale Univ Pr; 2000). The history of Jewish kabbalah in Italy goes back at least to the 10th century and the interaction of Jewish and Gentile culture on all levels of society is well documented. (Idel, Kabbalah in Italy, 1280-1510: A Survey). It seems quite naive to think that Pico's translations and use of Jewish kabbalistic texts in 1486 were the result of the first time a Christian mystic or philospher ever talked to a Jewish kabbalalist or philospher/physician in five hundred years. Unfortunately, these marginalizing assertions are often repeated by uncritical and uninformed readers  as "proof" that there could not have been any Jewish kabbalistic influence in Italy before the late 15th century . The real heart of this argument is the fantasy of a isolating wall around Jewish thought and influence. First we eliminate  them, and then we deny they ever existed. Their 22 letters can't have anything to do with our 22 picture-cards and if the astrological symbolism in the two sets is identical (and even in sequence if seven cards are moved), well that's another coincidence. We'll move their letters before we think of moving our cards, not that they really have anything to do with each other. 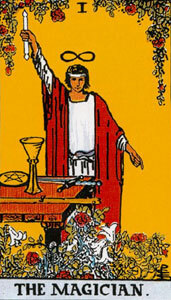 The general symbolism of the Tarot is not Cabalistic, nor even Jewish. The Pope and the Last Judgement are obviously Christian, as are the crosses given the Empress and Emperor in the Tarot de Marseille. DD&D, 1992. 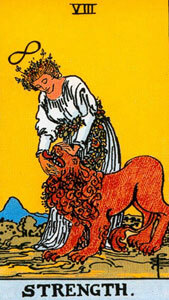 The claim that the symbolism is not qabalistic is based on a limited knowledge of the qabala; the astrological symbolism of the Tarot can be easily correlated with the astrological symbolism of the Sepher Yetsira and other ancient Jewish texts. 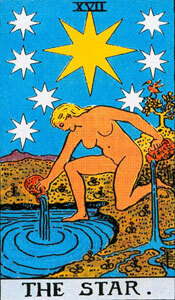 Would the same experts who claim that "the Tarot is not qabalistic" say that it isn't astrological? And if they admit astrological influences, where do they think the astrology came from? What cosmological or philosphical sources were used as a basis for medieval medicine and and early science? The "nor even Jewish" objection, sometimes taking the form of "why didn't they just put Hebrew letters on the trumps" needs to be answered specifically because of our tendency not to remember, or know of in the first place, the Christian West's long and bloody history of Jewish persecution. In a time when the Jews were often subject to the mass psychosis and violence of Christian pograms, beginning with the First Crusade, and the Talmud was being burnt and blood libel attributed to it, Johannes Reuchlin, a devout Catholic and author of De Arte Cabbasitica, was condemned for using Jewish sources in his study of "Christian doctrine." In this climate, it would seem unwise to use any overt symbolism that points to Jewish sources let alone an actual Hebrew letter. It was quite sufficient to represent them with their astrological and formative symbolism, generally understood as the the lingua franca of ancient and late-antiquity metaphysics and science, with the Sepher Yetsira an important cosmological reference in the 9th and 10th centuries. In Italy itself, where Jewish influence is ignored by our tarot experts until the 15th century, the only non-medical treatise written by the great medieval physician Rabbi Shabbethai Donnolo, (913-ca-982) was a commentary on the Sepher Yetsira (J.Dan, Jewish Mysticism, Vol 1, p.162). 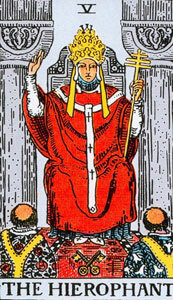 In regard to the other side of the argument, the supposedly Christian symbolism of the Tarot, does calling the Hierophant the Pope or the High Priest change its internal definition? And what is exclusively Christian about the Last Judgement? The cross is missing from the earliest versions and a Last Judgement was not a foreign concept to the Jews, especially in a time a messianic movements. Actually, the trump is completely and succinctly described by its kabbalistic symbolism: it is the trump corresponding to Sheen, 300, the Breath of God. The Hindu and Egyptian symbolism would be offensive to Jewish kabbalists. Ma'aseh Merkabah (Work of the Chariot, ascent mysticism) and the Zohar aren't the only kinds of Qabala. We see here a knowledge of some of the primary themes in Hekhalot, Merkaba and Zoharic "theosophical-theurgic" versions of early Jewish mysticism and later kabbalah but an ignorance of other formulations and traditions like the Maaseh Bereshyt, the Sepher Yetsira or Abulafia's ecstatic-prophetic kabbalah. 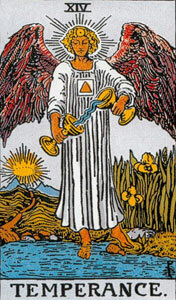 In fact, the astrological symbolism at the heart of the Tarot is completely derived from the Sepher Yetsira, an older tradition oriented toward the Work of Genesis (Ma'aseh Bereshyt) and the alphabet of creation (autiot). 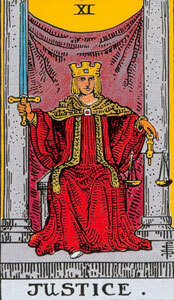 This is a category mistake, regarding the Tarot as a system on its own, in need of explanation and elaboration, to which the Hebrew letters are irrelvant or somehow related in a system of "correspondences." There actually is no reason to have any "texts" describing the Tarot because they are the semantic equivalent of flashcards for learning the abc's of elementary formative astrology and cosmology. You don't write texts about a dictionary. Once the abc's have been learned, the flashcards are discarded in favor of the books themselves. 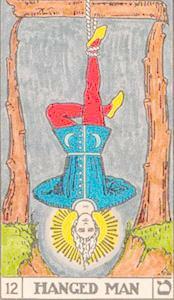 There are no secrets for the alphabetically-oriented qabalist expressed in the Tarot, who sees the letters (and their inner, energetic/structural, formative/semantic meanings) themselves rather than the signs pointing to them. The second point is an oversimplication and true only as one polarity in a Jewish vision of God which included many images and descriptions, among them the divine emanations or hypostases of the sephirot. Reality is more complex. From one perspective it is clearly impossible to speak of seeing God, since it is axiomatic that God does not possess a material form; yet from another it is precisely such a claim to visionary experience that must be upheld if one is to make sense out of a substantial part of the biblical text. Jewish exegesis has been driven by these apparently contradictory claims. As I will demonstrate, in the classical texts of medieval Jewish mysticism these two poles are clearly discernable as well. The other side of the same argument. Because the Tarot wasn't considered in any of the writings of Christian assimilators of the Hebrew Kabbalah, the origins of the Tarot can't be C/K/Qabalistic. 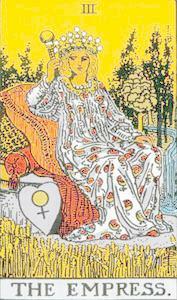 It would be hard for Tarot *not* to have esoteric content, given that esotericism and its symbolism was much studied in Renaissance Italy. But specific Cabalistic correspondences? I don't think so. 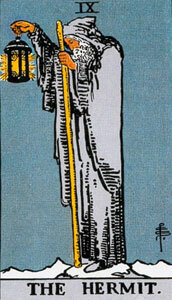 When Renaissance magi and philosophers discuss Cabala in great detail and at great length, Tarot is *never* mentioned. Why? Most likely they believed that Tarot was not particularly Cabalistic and was not invented with Cabalistic correspondences in mind. 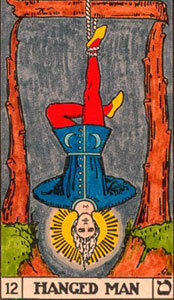 If Tarot had been a profoundly Cabalistic work from the beginning, as later occultists claimed, in all likelihood someone would have discussed this during the Renaissance. If, on the other hand, you want to argue for a connection between Cabalism and the early Tarot, you also have to explain why *no* Cabalists prior to the 18th century ever mention Tarot. The silence is deafening. 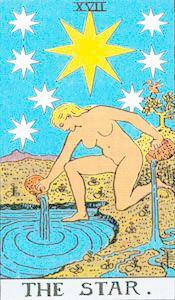 5) Further, there are many differing traditions of the correspondences between Tarot and Qabbalah. I can reach behind me to my library and find at least a dozen conflicting systems! Oddly enough, each claims to be the right one, but in reality, each is only one of many interpretations. This is no less true for Alchemical symbolism! It is a mistake to confuse the Hebrew Kabblah with the writings of its Christian assmilators, whose knowlege was limited and largely derived from the sephirotically oriented Kabbalah of the Zohar. 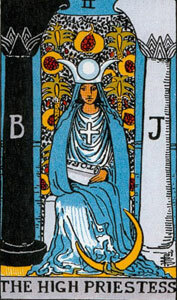 The correspondence of the 22 Tarot and 22 Hebrew letters is obviously an alphabetic, not sephirotic relationship. Most of the primary texts Pico had in his possession dealt with sefirotic science, although name science, used magically and theurgically, was far older than the Zohar. Abraham Abulafia was keenly interested in the distinction between the two sciences. It is not clear, however, that Pico was at first aware of the distinction. We note again the presence of Avraham Abulafia and his alphabetically-oriented Kabbalah in Italy over a century before the emergence of the Tarot, and the now very well documented history of Jewish Kabbalistic presence in 10th and 11th century Italy. 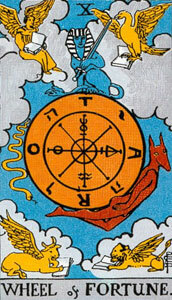 If there is "no connection " we seem to need an explanation of why the 22 Tarot -- beyond their 22ness -- appear to exactly match the astrological symbolism of the 22 Hebrew letters as given in classical versions of Hebrew texts like the Sepher Yetsira and Shi'ur Qomah. Levi's theory is historically untenable. 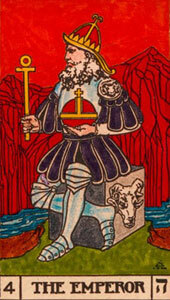 The Tarot arose, around 1425, among Italian Christians who knew nothing of the Cabala; iti did not converge with the Cabala until the Romantic period, which began in the generations of Court de Gebelin and ended in the generation of Eliphas Levi. Eliphas Levi, nee Alphonse Constant's theory that the Hebrew alphabet had something to do with the Tarot actually is historically tenable although most of the his other theories -- including egyptianizing and magicalizing the Tarot -- have no basis in history. I wouldn't pay too much attention to it. The author(s) of this site are engaging in a debate with the late avatars of the Golden Dawn concerning how many angels can dance on the head of a pin. No less an authority than Rachel Pollack has noted that there is no historical connection between Kabbalah and tarot (Complete Illustrated Guide, p. 30), although she herself, for reasons I don't understand, applies Kabbalistic principles to her interpretation of the cards. 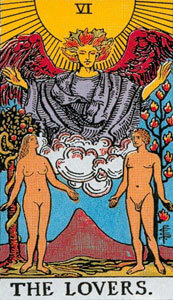 The first published work in Latin dealing with Kabbalah did not appear until 1486 (by Giovanni Pico de Mirandola, utilizing translations made for him by an apostate Jew), nearly a generation after the first appearance of the game of tarot (Decker, DePaulis, and Dummett, p. 14), which pretty much settles the issue of whether the trumps are an encrypted key to the mysteries of the 22 sacred letters. There is a world of difference between vain speculation and the study of history. 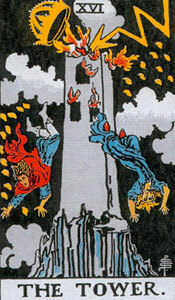 Tarot has very unfortunately been, and continues to be, a vehicle for people who enjoy broadcasting idle fantasies disguised as scholarship. It's a scurrilous practice that gives us a bad name. Fortunately, the study of history is relatively easy. All that's required is an ability to read and the application of a little common sense. The fundamental rule is, if it's not documented, it doesn't exist. But that's ok, because as the master reminds us, "There is nothing hidden that will not be revealed." Hayei ha�Olam Ha-Ba (Italy, 1286), an anyonmous fragment attributed to Abulafia, explaining the formation of a golem. Also: Commentary on the Sepher Yetzirah (Camino, Italy, 1289). The Jews of Italy: Memory and Identity B. D. Cooperman and B. Garvin, Editors 2001. Pp. 462. Cloth. 188305336-6 (includes David Noy: The Jews in Italy in the first to Sixth Centuries). Da Viterbo, Cardinal Egidio: On the Hebrew Letters (Italy). Da Viterbo�s (1465-1532) writings were heavily influenced by kabbalism, and especially by the Zohar and the Sefer ha-Temunah. The Mystica: There were many modifications and interpretations made of the Kabbalah through the centuries. In the tenth century the practical Kabbalah was introduced in Italy and then spread to Germany. Moses ben Nahman of Gerona (1194-1267). One of the commentaries (on the Sepher Yetsira) bearing his name is the most often printed. First Crusade: 1096 Whole Jewish communities in France and then Germany are slaughtered by the frenzied Crusaders, eager to avenge the Blood of Christ. As the Christian armies march eastward, they exact their wrath on virtually every Jewish community they encounter.